This post may not seem related to the production of music but maybe it is. I had an experience working with Robert Anton Wilson in an online class called Tales of the Tribe that lead me to strongly suspect that baraka, ie spiritual grace, can get transmitted over the internet. to our decentralized--hyper connected--future present. Tales of the Tribe ended up mainly focusing on The Cantos by Ezra Pound and Finnegans Wake by James Joyce both of them epic magnum opi that referred to many iconoclastic thinkers both historical and contemporary including Giordono Bruno, Giambattista Vico, Jonathon Swift, Buckminster Fuller, Marshall Mcluhan, Aleister Crowley, and Timothy Leary among others, and to metaphysical training systems such as Poetry Appreciation, Hermetic Initiation, Qabala, Communications Theory, Alchemy, Shamanism, Bardo Training and Shekinah Courtesy among others. Studying Finnegans Wake with RAW was eye opening to say the least. I had read it once completely through a few years back and regularly randomly opened it up and read sections of it but it still had seemed largely beyond my meager comprehension. The maze of understanding this book did brighten and appear more solvable the longer I spent on it. The insights Wilson gave on FW, which seemed more like clues and direction pointers than outright explanations, served as a catalyst for a quantum leap in my understanding of the book. Joyce's daunting, ambitiously experimental music-like prose all of a sudden became friendlier, easier to grasp, and much more consistently inspiring. The Cantos was another story, for me. I did not "get" The Cantos as something interesting, compelling, and vital to read until a few weeks after Tales of the Tribe finished. Only then after a 36 hour stint of work that ended with a remix of something at Prairie Sun's Studio A SSL room. I would pour through The Cantos during my regular listening breaks. Something just clicked - even the majority of the writing that I didn't comprehend seemed to provide valuable input in a sub or supra-conscious way. After that, it was hard for me to put the book down. in. And robins in crews so. It is for me goolden wending. long! Or is it only so mesleems? Phonetics, sounding the words out, perhaps remains the single most important key to understanding Joyce's use of language. It's useful to remember that James Joyce, a singer himself, had the ears of a musician. I consider him a sound engineer. He could successfully compose a fugue of words that, when read aloud or sounded out, could alter mood or consciousness in the same way that more conventional good music can. outset till Odd's end. And encircle him circuly. Evovae! -- Telleth that eke the treeth? -- Mushe, mushe of a mixness. This one shows a stronger allusion to Eve. I let the quote go a little longer for the last two lines. So. Avelaval. My leaves have drifted from me. All. But one clings still. I'll bear it on me. To remind me of. Lff! At the time, I took leaves as primarily referring to leaves on a tree. Robert Anton Wilson's reply pointed out that leaves also refers to going away. As Joyce was getting to the end of the book, he was also getting to the end of his life and and was strongly aware of this. So, Wilson maintained that leaves refers to not only leaving the writing of The Work in Progress, as Joyce initially called it but also to leaving his physical corpus, ie his death. Unfortunately, I don't have the verbatim text of Wilson's message to show the mood it conveyed. I suddenly realized that RAW seemed in a very similar situation, almost identical as the one he described for JJ: Getting ready to leave. I had a very strong feeling of the mood of someone confronting their own death and felt kind of awkward about inadvertently bringing the subject up. The mood felt sort of like getting uprooted and facing the Unknown wondering what will happen next. Calmly, if a little nervously, awaiting expansion. The next morning driving to work early in the morning, I began to feel quite illuminatingly expansive myself. Part of my drive is a brief jog through Empire Mine State Park and it's lush forest scenery. Going through it, a sensation of intimate connection to the inside of every single leaf in the forest overtook me. Leaving the Park at the top of a hill that overlooks the valley, I now experienced that expansive feeling with all the trees and leaves that I could see. The word foilage took on a new, experiential meaning for me. This experience definitely had leaves as a center of gravity. It felt like I lighted them all up. It seemed that the energy that fueled this new perception must have derived from that exchange with RAW. The peak of it lasted the whole time I drove to work, about 20 minutes, but the energy lingered for several more hours. A door had clearly been opened. returning home to the sea. Tom Waits once told me that I was very good at getting sounds based on descriptions he told me. This has to do with my primary aim in a recording, mixing or mastering session. To connect with the artist's vision, that invocational conduit to the heart and soul of the music we are working with, and bring that music into realization as a mass marketable medium of some type. I don't have a signature sound unless you call good sound a signature. Tuning in to a musician's sensibilities seems much easier by taking an attitude of service to the music. I am here to get exactly the record a musician/producer hears in their head only moreso. Often they don't know exactly what they want until it's heard. I am good at translating impressionistic audio descriptions and metaphors into sonic realizations. For example, Bill Laswell gave me the reference of Naked Lunch by William Burroughs as a direction for mixing the dub pieces on Blind Idiot God's Cyclotron record. Some memorable experiments were tried in that regard including triggering the sound of an Elephant trumpeting from a temple in India, as well as randomized tape cut-up experiments. Another forte: adding warmth and dimensionality to a mix. Creating a big picture. Getting the right balance of depth and upfront clarity, intelligibility, and when called for, power. I also have an extensive sound efx and audio ambience library to use where appropriate. The ambience comes from my travels all around the world, most of them with Bill Laswell. I have recordings from some interesting places including the King's Chamber from the Great Pyramid in Egypt, St. Thomas Mount in Madras, India where the apostle Thomas lived and died after Christ was crucified, the Basilica du Sacre Coeur in Paris and much more. I am not unfamiliar with the potential of music to heal and awaken and have ideas how to engineer and produce along those lines. A friend of mine recently said, "I woke up this morning and America had turned fascist," referring to the recent elections here. Fortunately, I hear other sounds in the air. Method of Defiance is Bill Laswell's latest music project to combat, defy, and thoroughly Krush the insidious, parasitic, automatized, power-possessing worms of CONTROL and the Institutions they set-up and run to economically enslave and creatively squelch individual initiative and original thought. It's axiomatic in certain initiatory Schools that the work takes place in Hell. See Robert Anton Wilson's revelatory Introduction to E.J. Gold's book Visions in the Stone for further elucidation. To destroy, mercilessly, without any compromises whatsoever, in the mentation and feelings of the reader, the beliefs and views, by centuries rooted in him, about everything existing in the world. 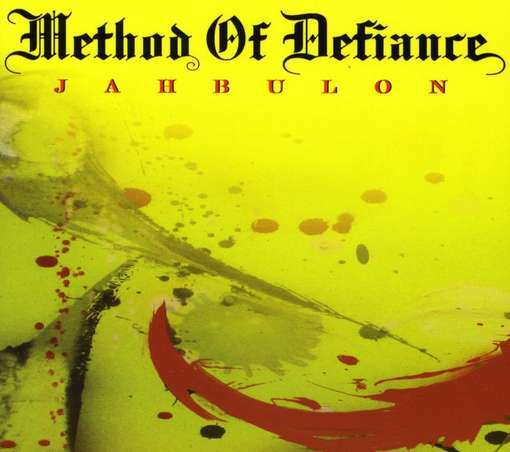 Method of Defiance consists of Toshinori Kondo on electric trumpet, DJ Krush on turntables, Bernie Worrell playing keys, Bill Laswell on bass, and Guy Licata behind the drum kit. Out front we have Hawk and Doctor Israel on vocals with Doc also providing live dub EFX. Saturday night, November 6th, they celebrated the release of two new cds, Jahbulon and Incunabula with a searing, Earth shaking set at Santos Party House in Lower Manhatten. The line-up was as stated above except that Guy couldn't make it due to a scheduling conflict. 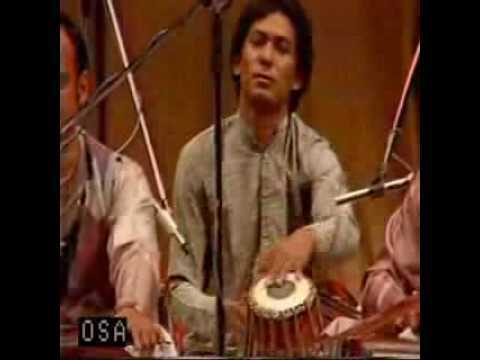 An old friend, Hideo Yamaki, very ably filled in for him on drums. Another thing Method of Defiance defies is the inertia of a sleeping, mechanical world to unconsciously offer up barriers, resistance, and challenges against playing their music. Saturday's show was a victorious triumphing over such inertia. The challenges began with S.I.R. ( Studio Instrument Rental) showing up an hour late for the load-in. Then, we discovered that the club didn't have any stage hands other than the House engineer. Usually there's at least 2 or 3 extra hands, or at minimum,1. Fortunately, James Dellatacoma, an engineer who works with Bill at Orange Music was there to help. We also had Yamaki and Krush's techs to set-up the drums and turntables respectively. The S.I.R. guys weren't motivated to do anything more than drop the significant load of equipment off on the sidewalk outside. James, Daniel ( the House engineer), and I hauled it in. It's a complicated stage set-up; the stage just barely big enough to fit everyone. A couple of other delays slowed things down: a missing AC power cable for the rented SVT Bass head, and a loose connection in the clavinet that James had to solder. Thanks to the stellar work of both Daniel and James and the foresight of starting early we were still able to get a decent soundcheck in before they opened the doors. If Hell is where the work is then I was in the right place for trying to mix a good show. The Front of House mixing board was upstairs in a position that was a bass trap. Also, the nightclub's many pillars blocked out all direct sound from the PA speakers. The PA had massive power for the low end with three separately tunable sub woofer systems. One of the sub woofers was in a bass reflex horn cabinet about 8 feet high. Unfortunately, the mids and highs didn't have the same kind of clarity and punch. There was plenty of highs but they were very washy due to the many reflective surfaces, mirrors and glass, in the room with its disco from hell interior design. The mixing desk was a digital Soundcraft Vi6. I wasn't that fond of it. With all the touch screen parameters to operate, it felt more like running the communications panel on the Starship Enterprise than mixing a show. The sound of it seemed on the cold and neutral side and I didn't have the headroom that I would have liked to have. My preference for live mixing is an analog Midas desk but as far as digital consoles go, at the moment, I favor the Yamaha and Profile over the Vi6. A challenge, sonicwise, but still workable. We finished the soundcheck just as the doors opened. GrandMixer DXT, an old and dear friend, and DJ Jazzy Jay warmed up the space spinning classic soul, funk, and r & b records. DXT is the person who made turntablism an art form, first gaining wide recognition with Herbie Hancock's Rockit video, a track produced by Bill Laswell. After sound check I felt in a very strange and detached, but not uncomfortable way. The release of finally having everything ready after feeling nearly overwhelmed with obstructions. I also had to set-up the stage monitor mix from the Front of House position something I rarely have to do. Usually there's a separate monitor mixing board at the side of the stage along with a monitor engineer. A few of us went to a nearby Asian Restaurant of some variety but I felt too confined and didn't want to eat any of that food so I left. Walked around a bit drinking in the electrically charged New York night air before heading back to the club. Got thoroughly searched like a criminal on the way back in, worse than the airport even. They say the gnosis always gets busted ...not this time Jack! Wanted to eat something before the show but had no idea what and thought I would just hold out. Went to the "green room" to wait. Bernie Worrell was the only one there. He offered me fresh fruit. It was incredibly savory. Manna from Heaven in the green room in Hell. Revolution is the name of a radical bookstore a few doors down from the Fashion Hotel on 26th Street where we stayed. Bill suggested that I check it out so I did. Mostly filled with books on politics as you might imagine. Saw one called The Beats at Naropa that looked interesting. I was surprised to see books espousing the merits of Communism which I guess must be more like a purer ideological strain than the Soviet styled totalitarianism of the last century. Taking a cue from Dr. Timothy Leary, my politics are more along the lines of the Politics of Ecstasy. This is by no means a drug reference. Ecstasy comes from the Greek ex stasis ie out of body. Maybe calling it the Politics of Exploration would be less confusing? Got into a bit of a conversation with the proprietor, Connie. She and a few cohorts planned to attend the show that night. The bookstore, Revolution, is a Method of Defiance. Coincidentally, the cd they were playing in the shop was Gigi's live show that I'd recorded in Austria last year. As I was leaving I heard Connie say to another customer, "there's a revolution going on." Later, at the club, Doctor Israel told someone else the same thing. Obviously they didn't mean armed insurrection or a violent uprising. More like a revolution in consciousness in the war against sleep. The show was powerfully, deeply moving. I mixed it loud but made sure it wasn't harsh. I had my secret weapon, the Roland Kosmos Subharmonic Synthesizer in full effect. The chaotic nature of the washy acoustics with significant amplitude brought up by yours truly, gave an edgy, hanging on for dear life as you hurtle through the depths of sonic space kind of attitude to the proceedings. It was really great, I loved it! Being turned inside out gets to be fun after awhile. Even better when you can effectively function in that state. The method is defiance and the method's always blessed. All other poetry in red are MOD lyrics from Patterns of War by Doctor Israel. I'm never ceased to be amazed at how closely Laswell projects become aligned to the 93 current, ie Thelema, the occult energies of this new Aeon, because it's completely unplanned. It naturally occurs. For example, MOD's frontmen are Hawk and Doctor Israel. Hawk obviously relates to the hawk-headed god, Horus, the presiding deity who symbolizes these occult energies. Doctor Israel's name is suggestive, revelatory even, to anyone clued in to James Joyce's phonetic dream logic lexicon. The two of them make a great team. To compound the hawk allusions, I ran into an old friend, Andy Hawkins, after the show. Hawkins is a creator and driving force behind the band Blind Idiot God. The name derives from the writings of H.P. Lovecraft . I had the pleasure of mixing their album Cyclotron years ago. A new album from B.I.G. is nearly ready for release. Walking up Lafayette after saying goodbyes, the night was quite dark, nearly no neon on this strip of the street between Canal and Houston; lots of activity - traffic and revelers. Still had the vague feeling of rising through the circles of Hell from Dante's Inferno. The energy from the show was driving me through despite my body being in a fair amount of physical pain. I was carrying my Kosmos unit in a shoulder bag and had a backpack with tools on my back. Approaching Houston I noticed a billboard that was divided into 24 squares with spinning concentric circles inside illustrated with black images of some kind which I guessed to be lettering. These spinning black images gave the effect of something out of focus coming into or trying to get into focus. Like waking up out of a dream where all the constructs of reality are still formless and haven't taken shape yet. That message, and only that message covered the entire billboard. I wondered what it was advertising, Communism, or something else? Finishing this Horus cycle of synchronicities the next morning, I was watching the news on television for about 10 minutes before leaving for the airport when the anchor announced that his Grandmother turned 93 that day. Driving across California's Central Valley on my way home from the San Francisco airport, I remained in a mildly altered state of mind from the previous night's blast of energy. The distant blue-gray rain clouds looked exquisitely grand and majestic in their scope like something out of the Old Testament. One bank of cloud layer had this unique shade of a brighter, metallic kind of blue that I'd never seen. Maybe the Kind of Blue Miles Davis played? Or maybe Method of Defiance dusted off my senses of perception? - William Blake, above and below.